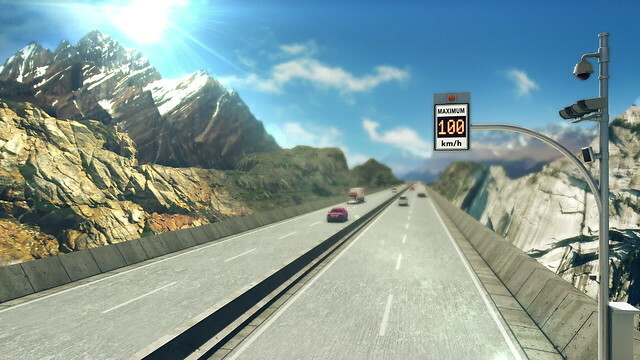 Digital speed limit signs will activate and reduce the allowed speed on three highway corridors in winter conditions. New electronic speed signs that activate in bad weather to reduce the speed limit are now being installed on stretches of the Sea-To-Sky Highway, the Coquihalla and Highway 1 near Revelstoke. The province committed to the variable speed zones at the same time it decided to raise the posted maximums to 120 km/h on portions of the Coquihalla, and to 100 km/h on much of the Sea-to-Sky Highway. The 47 digital signs are to go live in early 2016 and when they’re activated the dialed-down limit will be enforceable by police. The province had promised the digital signs would be in place for this winter, but with two to three months of testing still required, winter may be mostly over on the Highway 99 section by the time they’re working. An extensive system of traffic, pavement and visibility sensors will be calibrated to detect challenging conditions – whether it’s extreme cold, freezing rain or heavy snowfall – and provide a recommended speed to operations staff, who will update the maximum speed shown on digital signs. Overhead message signs at the entrance to each corridor will tell drivers they’re entering a variable speed zone and to be aware of changing weather conditions. The transportation ministry is spending $12.5 million to install and run the three pilot systems. Officials hope the pilot project will spur more drivers to reduce speed in severe winter conditions and save lives. Police say they’re developing procedures to fairly enforce the variable limits and ensure drivers have seen the signs before being tickets are issued. “There’s huge challenges from the enforcement side,” Delta Police Chief Neil Dubord, who chairs the traffic safety committee of the B.C. Association of Chiefs of Police. Dubord said variable speed zones will help mitigate the risk from the increased speed limits, which he said police chiefs still have qualms about. “We would still like to have seen the speeds stay where they were, on the Coquihalla especially,” Dubord said, adding speed remains a major contributor to fatal crashes. 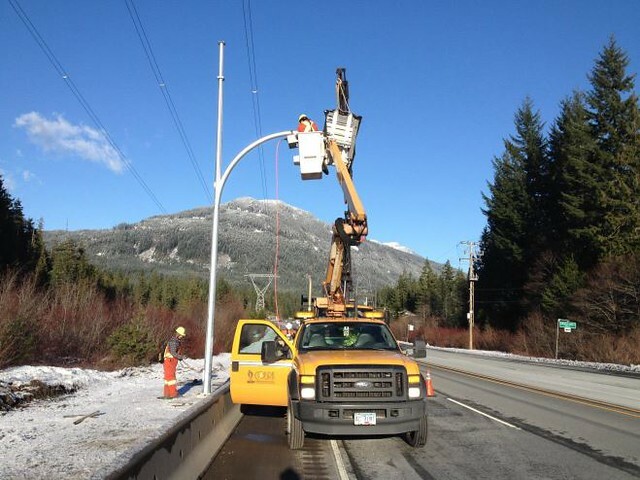 Crews are installing 16 variable signs on the Sea to Sky from Squamish to Whistler, 13 on the Coquihalla from Portia interchange to the old toll plaza, and 18 on Highway 1 from Perry River to Revelstoke. Dubord said he had hoped to see the signs activated sooner.